While talks are still developing, just the speculation has caused Aurora stock to surge today. This news follows recent announcements by alcohol heirs Adolphus Busch V and Jim Beam’s Ben Kovler, who are choosing to focus on weed over the family business. Some beer companies, like Lagunitas, are already churning our cannabis-laced beer. 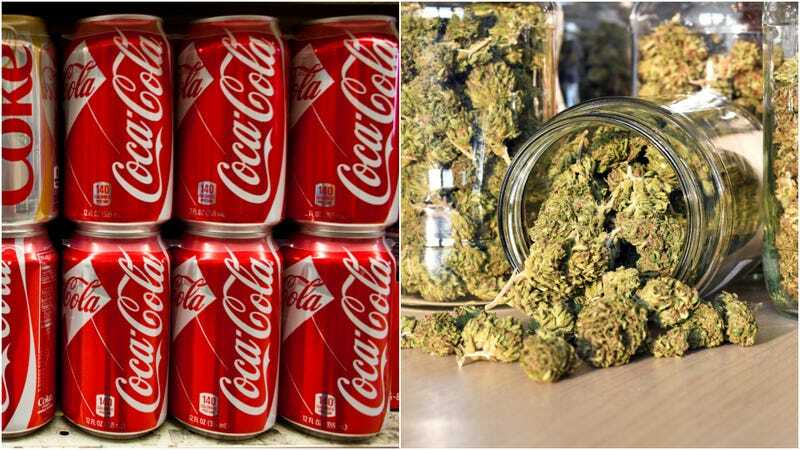 No word yet on whether Coke’s product would mix the company’s signature product and weed, which would likely result in a hopped-up yet mellow buzz akin to Red Bull and vodka? Or just a straight-up, relaxing, CBS-based beverage. But as cannabis legality becomes more widespread, we suspect these types of beverages will as well. It&apos;s the store-bought rotisserie chicken smackdown!